NBC5 reporter/anchor Eric King is returning to the place he left after almost a three-year stint in D-FW. His old Kentucky station, Louisville’s WLKY-TV, announced his re-hiring Thursday. “We are excited to have Eric’s enthusiasm, personality and journalistic talent returning to WLKY,” news director Andrea Stahlman said in a statement. “I’m thrilled to return to the city I love and be able to reconnect with family and viewers I’ve missed,” said King, a University of Louisville graduate. King’s previous stint at WLKY lasted from 2009 to 2013. His duties included reporting for the CBS affiliate’s morning news program and anchoring its noon and weekend morning newscasts. 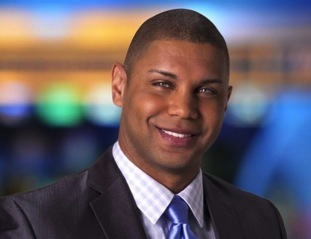 He left to join NBC5 in March 2013. In January 2014, King became part of an early morning tri-anchor team at NBC5 with Deborah Ferguson and Marc Fein. But he was reassigned to the reporting pool in October of last year.